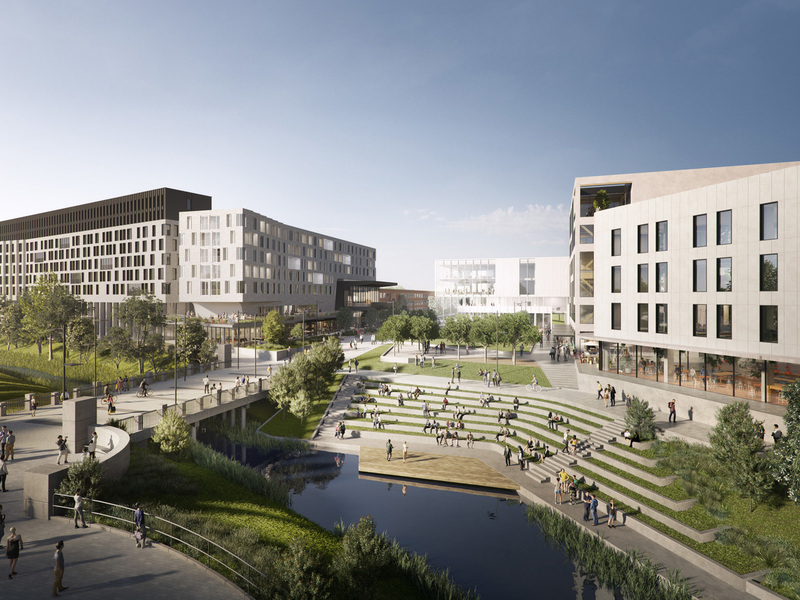 The Australian National University (ANU) has revealed Kambri, a new innovation and culture precinct designed by BVN. One Canberra’s biggest construction projects since the new Parliament House, the precinct has been designed to enhance the relationship between the university and the city and establish itself as a vibrant new precinct in Canberra. Kambri incorporates two of Australia’s largest mass timber construction buildings, 450-bed student accommodation and a five-storey collaborative teaching building. “Both buildings set a new standard for reduced carbon footprint, construction innovation and wellness,” says BVN lead architect and co-CEO Ninotschka Titchkosky.